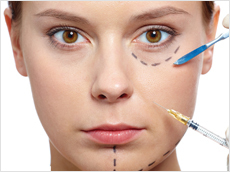 Botulinum Toxin (BOTOX) Type A is a muscle relaxant derived from the bacterium Clostridium Botulinum. In controlled doses, it can provide safe, effective relief from a number of conditions. Pain management with BOTOX injections allows pain physicians to effectively treat many forms of chronic pain. Because treatment involves just a few simple injections, most patients are eligible for treatment. The best way to determine if BOTOX therapy can be used as an alternative to other forms of chronic pain control is to discuss your individual case with a physician. By carefully analyzing your nerve pain, back pain, or other chronic ailment, a physician will be able to determine if botulinum toxin, the protein that makes up BOTOX injections, can help ease your pain and give you the relief you need. BOTOX treatment is distinctive because of its ability to treat a specific target area. These injections can be administered quickly and have fast-acting, long-lasting results. Nearly 1 million people worldwide have experienced pain relief from BOTOX. Long-term therapy with BOTOX has been found to be safe and very effective.